Enjoy flexibility and personalized services of small group guided tour with unforgettable wildlife encounters, cultural interactions and overnight in our luxurious tented accommodation. CLICK HERE to read more about our luxury tent accommodations. Arrival at Entebbe Airport where you will be welcomed and transferred to any hotel of your choice dependent on your budget which will be prearranged but paid by you. ** Note: the airport pick up will be arranged by your guesthouse/hotel. The Ugandan Equator on Lake Victoria where the captain will make a stop to take pictures and swimming (optional). At the island you will be welcomed by your guide and check in at an East African style Tented Camp on the island overlooking Lake Victoria with en-suite bathroom facilities and solar lighting. Later you will view the chimpanzees feeding at a very close distance on a raised platform where you will observe the chimpanzee behaviors as they eat, play and rest. In the afternoon, participate in bird watching, spot necked otter counting and other wildlife. 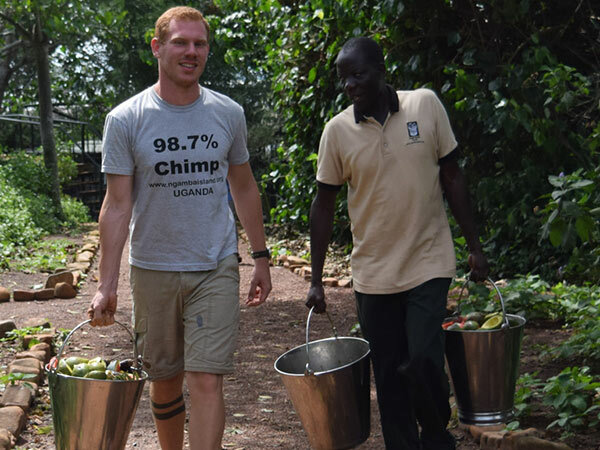 Later participate in the behind the scenes activities; observing chimps as they return, feed and prepare their nests. As the day ends join us for an exclusive sunset cruise as you enjoy the unique view of fishermen casting their nets, fishing villages as they wind down the day and of course the golden circular site of nature’s eye going to sleep. As you sip away on cold drinks in a romantic bliss. On return after dinner, indulge us as we work you through the cultures of Uganda through music, dance, storytelling and drama. 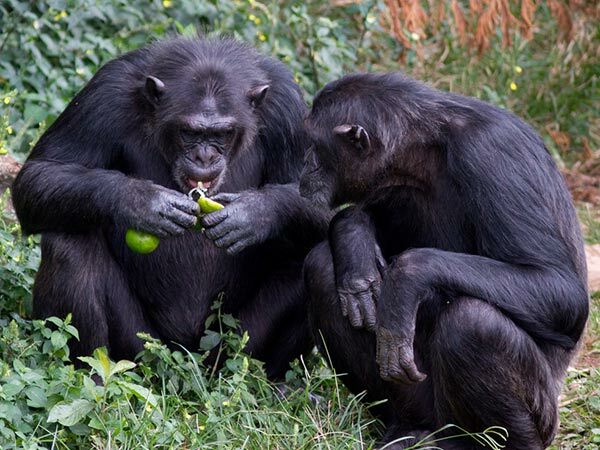 Take part in the Chimp environmental enrichment program which will involve you to challenge the chimps’ critical thinking abilities as to help them stay health, physically and mentally. Later proceed, start the fishing activity which will included visit to neighboring islands/ hiking on Koome Island where you will also be treated to sights of different plants, tree species and over 120 bird’s species. View a chimp feeding then depart for Entebbe. Please CONTACT US at: reservations@ngambaisland.org to learn more about availability for this tour package.